The 138.com Rally Isle of Man has underlined its status as one of the pre-eminent events in the sport with the announcement that eight times Belgian champion, Pieter Tsjoen, will be making his debut at this year’s renewal. It’s a major coup for the Island to have Tsjoen’s name added to an already star-studded entry list. A familiar face throughout Europe and the undisputed force in his home series since the turn of the century, his appearances in the British Isles are rare, so it will be fascinating to see him negotiating our fabled roads. Rally Isle of Man has had a long tradition of attracting top European stars, including Patrick Snijers, Robert Droogmans and Fabrizio Tabaton in the late 1980's and Armin Schwarz, Gregoire de Mevius and Dieter Depping in the 1990's. The 2017 three-day spectacle (from September 14- 16th) incorporates 20 demanding all tarmac stages, made up of 167 stage miles, totalling 424 miles across all classes. This includes three dedicated spectator stages, culminating in an ultimate stage finish at the iconic TT grandstand. 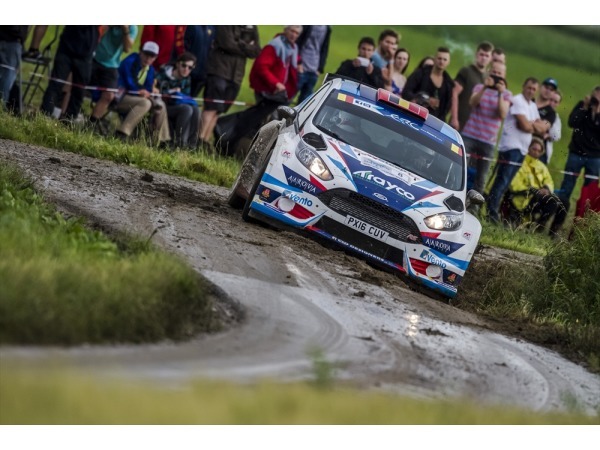 Entries for the 138.com Rally Isle of Man close on August 23 but, at time of writing, over 125 names have already been confirmed for the maximum 140 start places. Isle of Man Events has enjoyed a long and proud partnership with Rally Isle of Man and 2017 is proving to be one of the busiest for the event in recent years. Our job is to steer you through all your travel booking and accommodation arrangements – to find you the most competitive rates out there. So, if you want to get a bird’s eye view of the action, either as a spectator of a marshal, it’s not too late to take advantage of our superb, all-inclusive spectator and marshal packages comprising three night’s accommodation, including return sea travel with car, for £172pp. Packages are based on two people sharing. Availability is limited due to demand, so call us asap on 01624 664460 to avoid disappointment. We look forward to seeing you here for the 2017 Rally Isle of Man.